After the end of the space shuttle program last year, it’s nice to have a fresh breath in space. Moreover, it when comes from a Dragon! 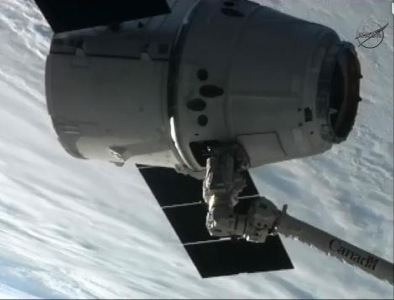 SpaceX have done an incredible job by reaching the ISS safely this week! With all those private companies who races to go in space (SpaceX, Virgin Galactics, MoonExpress, and so on) it makes me wonder if all of that it will become a reality in my lifetime. Imagine when we will see a ClubMed Dark Side of the Moon, ClubMed Mars or ClubMed Europa! Would’n it be nice? And you, how much would you be willing to pay for a trip into space?